Pilots come in all different forms with varying backgrounds. Today’s guest has quite the history at her young age. Sarah Fritts joins us on the podcast to talk about her journey into the military, specifically the Army. There she flew helicopters during several tours of duty in Iraq, and flew fixed-wing in Afghanistan. 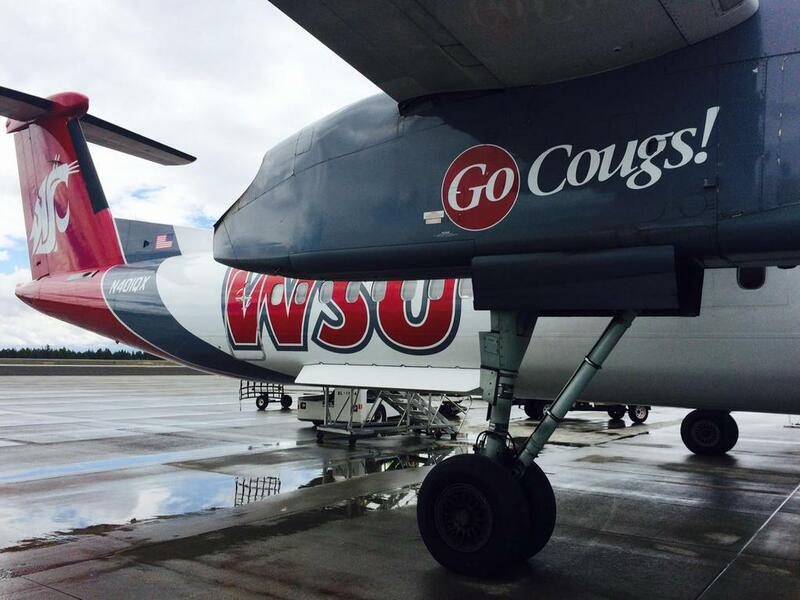 Still serving in the Guard, now Sarah is a newly minted FO for a Regional Carrier in the Pacific Northwest. You can also check out Sarah’s work to spread the word of aviation through her Twitter (@ThinkAviation) and website, ThinkAviation.com. A big salute to Sarah for her service, and a big thanks for joining us on this episode. Huge thanks to Sarah! Make sure to check out her website, and follow her on the Twitters. Helos to regionals, this is AviatorCast episode 72.
respect the men and women that are part of the military especially aviators defending our freedoms. So welcome to this, the 72nd episode of AviatorCast. This is a special episode because it is Independence Day here in the United States, a day which we celebrate on the 4th of July. It’s a very big deal for us because this is the day where we celebrate our patriotic freedom, our patriotism for our nation and so I wanted to make this a special episode about one of our military members. And so we have a very special guest today, we’ll talk about her here in a few seconds. But first, AviatorCast is a weekly podcast that I put on on behalf of Angle of Attack, and this is a podcast where we talk to aspiring aviators. We may also gain more insight into the industry. Maybe you are someone that, you’re looking to reignite the flame in aviation, reignite that passion, and so you come here to learn from other aviators to get excited about this and it really helps out a whole lot. And maybe you aren’t quite flying yet and you’re just looking to get the courage to fly. There are many reasons that a lot of people join our podcast each and every week. We’re so thankful to you the listener for coming here week after week and enjoying what we have. We really love having you as part of this wonderful community. So on today’s episode, we have again as I mentioned a very special guest, a war veteran, a young war veteran which kind of changes this paradigm in my mind because I always look back and say well, war veterans are older than me. They are people that fought in World War II and Vietnam and of course there aren’t any World War I that is around anymore, but they are older people I guess. Now, our guest today, Sarah Fritts, she is younger than I am I believe, yet she is a war veteran of the war in Iraq and I believe she also may have served in Afghanistan. So, Sarah is a great person that I met actually on twitter. She is very active there. Very passionate about aviation. She has a website called ThinkAviation.net and it’s a very great place. She has worked hard on getting it started and she shares a great thoughts on there and on twitter so she’s done a great job there. I just noticed her passion. She was primarily a helicopter pilot, that’s what she learned to fly in the army for the military when she went overseas to the Persian Gulf and flew helicopters there in actual action. I can’t imagine flying an airplane and having someone shoot at me, so she definitely has some pretty intense stories about that. We don’t dig too much into that stuff because I feel like that is one of those things that you just kind of don’t ask people how intense it was and how scary it was and about the comrades that they lost, and so I don’t get into that a whole lot because I think that’s a personal thing just for them in a big way. So don’t expect too much of that gory stuff or glory stuff. This is about aviation. I don’t want to keep it toned down a little bit I guess and gear it towards that but I just honor people like Sarah that fought for the freedoms of our country and I really appreciate her candor in sharing some of that experience with us today. Now, that’s not her whole story. I don’t want to just pin this war veteran thing on her and say that her whole life is about being a veteran of war, that’s not what it’s about. Sarah is now a regional pilot. 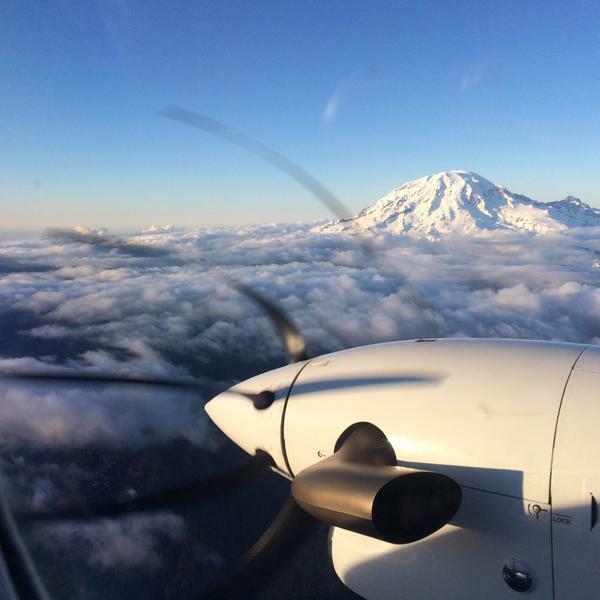 So she ended up going and learning how to fly King Airs and started to get some fixed wing time, and now she is actually flying for a regional Horizon Air in the Pacific Northwest where I believe she is originally from. So she’s kind of come full circle where she is now getting into the civil aviation side of things which is very cool to see and I just love her story. So Mikey, thanks so much for leaving that review. Thank you for your service as well. It’s great that you are pursuing your sport pilot license. You know, it’s not a private pilot but that doesn’t really matter. You’re getting started, you’re getting into it, and so fantastic job doing that especially while you get through some of these busy times you’re having in serving the military. Eventually, you may get to a private pilot if that makes sense for you. Maybe it doesn’t, maybe you’re a sport pilot warrior as it were, just flying on the weekends, doing that sort of thing. Absolutely nothing wrong with that. At the end of the day, it’s flying, so nothing wrong with that at all. So Mikey, like all of the other people that leave a review on the show, you are going to get an AviatorCast t-shirt. Go ahead and send me an email at me@aviatorcast.com. I’ll hook that up for you. Those are in the final stages of being designed and printed and all that stuff, I’m excited to send that out, so very exciting things coming and I’ll make sure to send that to you. So again, thanks Mikey, really appreciate it, and if you want to leave a review on iTunes, you the listener, and if you get your review read on the show, I will send you an AviatorCast t-shirt as well regardless of where you are in the world. So without further ado, let’s get started on this patriotic episode of AviatorCast on this, the 4th of July, and we’re going to talk to Sarah Fritts. So here is Hangar Talk with Sarah Fritts. Chris: Alright everybody, we are honored to have a very special guest with us today, Sarah Fritts. Sarah, thanks for joining us on AviatorCast, how you doing? Sarah: I’m doing great. Thanks for having me. Chris: Yeah, I’m excited to have you on the show. You have some, kind of a different background which I think is really cool. You’re early on your career and just went through a cool transition which I definitely want to talk about as well. Give people the elevator pitch on just your career, what you’ve done. We’ll get into it in more depth but what’s the brief synopsis? Sarah: Alright, so brief synopsis. Younger, I was a civil air patrol cadet pilot, went to West Point because I really wanted to fly helicopters. Flew helicopters for eight years, active duty and then switched over the National Guard where I got fixed wing transition and then I finally got enough hours after deployment to Afghanistan to apply to the airlines. So now I’ve been flying for Horizon Airlines for a couple months now. Chris: Right on. I already learned some more about you that I want to talk about so that’s great. So the first question I always ask our listeners because this is such an important question and it goes all the way back to the beginning, how did you fall in love with aviation? Sarah: I think there were two specific moments in my life when I was younger when I fell in love with it and I don’t think I realized it at that time, but the first one was the first flight I ever took, I must’ve been 3 or 4 and for some reason my parents once free flight over Mount St. Helens and at that age, it blew in 1980s so I was yeah, 3 or 4 years old, and I remember circling around that devastated mountain and that stuck with me, yeah. And then the second time, I think I was in preschool or kindergarten and there was this Huey helicopter that landed right at our school on the helicopter pad and I just remember my face was just glued to that window, I was in awe, and I don’t think that ever left me. And in high school, I just had to fly. I’ve always wanted to fly. That’s been the only thing. Every major decision in my life has been geared towards flying. Chris: Well, you’ve obviously done a lot of it and I’m sure you’ve done some of it in situations that were pretty intense and life-threatening as well. Tells us a little bit more about what kind of transpired from there. So going into your teenage years, how stayed into it. Sarah: Yeah, so I kind of was entrusted in the military and so I did some research and realized it was good think to join the civil air patrol because that kind of looked good. I don’t know where I got obsessed with the idea of going to one of the service academies but I had learned that at West Point, you have the best chance of getting helicopters and that’s really what I wanted to do. And I think it’s still true today actually. Because West Point tends to give, they get the most allocation of branch slots, ROTC kind of gets the leftovers after they’ve given everything to West Point, and they get about I think 100 slots every year and so I knew that that was probably the best chance I had of getting that branch. And so I pursued that really hard. I didn’t get in right away but I was persistent and applied the next time and got in and it worked out for me. I was able to get the aviation branch and right after I graduated, went down to Fort Rocker and did my training. Yeah, civil air patrol, I ended up soloing at Oshkosh actually. They have civil air patrol weeklong encampment back in ’95. I had some old World War II pilot as an instructor. Chris: Well tell us a little bit more about that because that’s a unique experience. I’m jealous. I’ve always wanted a guy like that as an instructor. Sarah: Yeah. I mean, gosh, he must’ve been 70 or 80 years old. Those older pilots are just so unfazed by anything you can do and he just had a lot of perspective on aviation. It’s been awhile so I don’t quite remember everything but it was pretty cool to be at Oshkosh and with that history there and get that solo. Chris: So what age did you solo at? Sarah: I must’ve been 17 I think. Chris: Pretty early. So tell us a little bit more about that encampment. So you go up there for a week and it’s just kind of an intensive sort of thing? Sarah: Yeah, you fly every single day and the whole point is to get people to solo by Friday. It’s air force encampment so we wore uniforms and marched around and did that whole thing. But it was totally geared towards, we’d have classes and then we would fly, just a typical compressed flight school. Not everybody was able to solo but if you really studied and worked at it, you could. Chris: So did you go from zero hours to soloing in that week? Sarah: No, I think I had some or did I? I don’t think I did because I think I remember. I must’ve ad like 2 or 3 hours of that time because I do remember some flights back in Oregon on the Oregon Coast and I remember learning about the whole trim thing. I was like, you can have the controls and I had the controls and you’re fighting against it and you don’t realize that you can actually relieve the pressure. I do remember that moment. I didn’t have a lot. If you fly consistently, it doesn’t take that long to progress to solo. Chris: Definitely. And that was done recently, just a really quick caveat here, that was done recently by Redbird at Sun ‘N Fun, they did one week to solo and it’s cool that you went through that because everyone was thinking that was a noble idea and it is. Everyone was thinking that was noble idea but it’s really cool that the civil air patrol actually does that. That’d be cool if they still do that, I haven’t really heard of it before. Sarah: Yeah, I’m not sure. I mean, I hope they do, and I would encourage anybody who has the opportunity to do a one-week solo to go out and do it. Well, anytime you can compress your flight training, that’s a good thing. The military certainly does. We understand the importance of compressing flight training to get that repetition. Chris: Yeah. It’s that recentcy so you don’t have to repeat it as much. I’ve always thought that was a great idea. In fact, I have some training coming up this year that I plan on compressing and just flying somewhere. In fact, I think right now, my plan is actually to go to Oshkosh with an instructor that is there and knock some stuff out. Chris: So from there, you’ve soloed and now, I’m assuming that you’re also doing ROTC at that time or are you just kind of doing this civil air patrol thing? Sarah: Nah. Just the civil air patrol. Sarah: And sports, playing soccer. Chris: So how did you progress from there because at some point, you went from a fixed wing to a helicopter and so we got to figure out when that transitioned too or maybe you never did. Maybe it was always just hand in hand. Sarah: Well, I did that and then I was at West Point, I didn’t fly for four years. And then once I graduated, they sent me to Fort Rucker Alabama where the helicopter training is and I started in August of 2000 and did primary and then nights and NDG training and then you move into your advanced aircraft. Chris: And I’m unfamiliar with the process so I’m coming from a place of ignorance. So do you learn in a helicopter first or do you learn in a fixed wing first? Sarah: The army always, you always have to start in the helicopter, and I think they might be changing that now where they actually peg certain people just to be fixed wing but right now, even if you go fixed wing as a second lieutenant or a brand new warrant officer, you still have to do the entire helicopter training, and then they give you a fixed wing transition. But it’s very unusual for an army aviator to get a fixed wing transition, it’s actually kind of hard. So 95% of army aviators are helicopter pilots. Chris: Very cool. So how difficult was it to learn how to fly a helicopter because from a lot of fixed wing pilot’s perspectives, either A they don’t want to fly helicopters because they’re ugly or at least that’s what they say, and I’ve sure you’d have some harsh words for that, but B, they think it’s very hard and I think it is. I think there are a few more things to be concerned about but speak to that a little bit. Sarah: Yeah. Probably the initial part of flying of a helicopter is difficult but then after you know how to fly a helicopter, there are some things that make it incredibly easy. And there are some things now even today that I feel way more uncomfortable in a fixed wing aircraft than helicopter because if you get into like a bad wind situation, I mean, there is no such thing as a crosswind landing for a helicopter. So that takes that whole level of complexity out of the picture. If I get in trouble and I go up over a ridge line and I can’t see the other side of that ridge line because it’s too cloudy, I don’t have to do like a potentially dangerous turn you do in a fixed wing to get out of that situation. I can just slow down. So that I love and I miss that ability. But in terms of, I mean really physically flying something, that’s not really the hard part of aviation I’ve come to realize. It’s all the other things, the radio communication, staying up to date on studying and the knowledge and all that other kind of stuff that makes it difficult. Helicopters are just way more fun. Chris: Yeah. Yeah. I know that when my brother went through helicopter training, he went all the way and got his commercial, he was scared to death of airplanes. Maybe not scared to death but we were flying at that time too for business sort of stuff and he would come along for a ride and he had plenty of aviation knowledge but is all helicopter and he is like “I don’t understand how this airplane is going to land if there is a problem. I just don’t get it.” Because he was coming from the autorotation world, you know. Sarah: Yeah. And we don’t have the stall situations. I mean, there is retreating blade stall but gosh, that hardly ever happens. There are so many scary situations in airplanes that make me nervous that I just don’t have that feeling in a helicopter. I encourage anybody to at least give it a try. It’s pretty fun. Chris: Yeah, I’d love to give it a try for sure. And you know, it gives you I’m sure, and you can speak to this for sure, it gives you a different perspective on each, right? I mean, flying a helicopter gives you better perspective on how an airplane flies and flying an airplane maybe gives you a little bit of perspective on how a helicopter flies. So that sort of correlation there. Sarah: Yeah. I mean, the aerodynamics are the same. Each blade is like a wing essentially so that’s kind of all the same. It really helped I think actually to have a little airplane training because when you do run-on landings in helicopters, I already understood the site picture of where to keep the runway and when I was getting too low and too high and kind of that right angle which if you started out in a helicopter, I’m not sure you would necessarily get that concept. Sarah: But then airplanes just move so fast, like the airplane, the Q-400 I fly now, oh my god, just everything is just, I couldn’t imagine going back to 90 knots now. It’d be nice. I’d get bored I think. Chris: Yep. Things happening in a different pace that’s for sure. Sarah: Yeah. Takes a lot to get used to. Chris: So take us from there. So you’ve gone to Fort Rucker, you’re going through training. How did things progress from there? Sarah: So I got assigned Fort Stewart and Georgia the 3-7 cav which that unit no longer has helicopters but this was in 2002 so this was just a little less than a year from the invasion and third ID which is what I was a part of got deployed in the end of January of ’03 to Kuwait where we say for almost two months and then towards the end of March, the president gave the word and we were on our way and we crossed the border. I was a platoon leader with 3-7 cav flying the OH-58 Delta which is a scout helicopter, has kind of a ball on top with flare and a camera. It’s got rockets, hellfires, and a 50-cal. So we invaded Iraq in ’03. Made it all the way up to Baghdad and then I went home in August. Sarah: Gosh, I never know what to say when people are like “Tell me about that” because I don’t know what really to focus on. I mean, it was pretty intense. I mean now the army is a very experience army. We’ve been at war for quite some time now but when we first invaded Iraq, none of us really knew what to do or what was going on. We had training but of course, you’re always fighting the last war. The second day of the war, we got up to As Samawah. We kind of came up through the desert on the left side of Euphrates and we hit As Samawah, and we had been told which is funny now, I mean, I don’t know where they got this, that the Iraqis would be welcoming us with open arms and cheering force and stuff and that was just not the case at all. Sarah: No, god, no. That second day of the war was such a wake-up call. We got lit up pretty good. A couple of our aircraft including mine got hit. We had to replace the horizontal stabilizer. It got a hole in it. It was just quite a shock getting used to flying combat. Chris: Yeah, getting shot at. Sarah: Yeah, for real, like this is no joke. It was difficult. And then just everybody is stressed out and then learning how to deal with personal relations and kind of dealing with that whole situation. And the army is kind of weird. The navy and the coast guard and the air force don’t do it this way but the army has their most experienced pilots are these chief warrant officers, I’m not sure if you’re that familiar about it. Chris: No I’m not, with the ranks. Sarah: Yeah. So we have these chief warrant officers and their job is to be technical experts. So in this case, aviation, they’re pilots, that’s their first job. But they’re outranked by lieutenants. So you can have like a 15-year aviator with a thousand hours, 1500 hours, and a lieutenant with about 200 hours, 250 hours is in charge of them in these missions. That was a difficult situation to deal with because I wasn’t experienced at all. I could barely give a mission brief because I was so new to the unit. And here I was a month later out there trying to lead three aircrafts on a mission and there was a steep learning curve. Chris: So you were a lieutenant in my understanding because you went to West Point, and did you become an officer there then? Sarah: Yes. Yep. And actually, we call them O-grades or commission officer but that’s a bit of a misnomer because warrant officers are also commissioned but there’s no other better term for it. So this past June, I transitioned from being a Major back to being a warrant officer because all I wanted to do was fly. So if there is anybody out there who wants to join the army but they really just want to do it as a pilot, I do not recommend getting commissioned through ROTC or West Point. I’d just go straight to being a warrant officer because that’s your primary job. You don’t get paid as much but that’s your focus. Chris: Yeah, that’s what you got to do. You got to just build hours I guess and do that sort of thing. Tell us a little bit more about your military experience because it’s an interesting perspective and I think for our generation especially, it’s still fresh on everyone’s minds. I think it’s fresh on every generation’s minds. But tell us a little bit more about your military experience and kind of run the gambit on from the start to the end and what you experienced and maybe a couple things that you learned from that both from an aviation perspective and maybe just from a human perspective. Sarah: Yeah. Well, I think that first deployment, I mean, it didn’t go that well for me because I didn’t understand the importance of personal relationships in leadership, so I didn’t understand that it’s really hard to be a leader unless you understand and can really relate and interact with your subordinates. I got much better at that afterwards. My second and third deployment were completely different than the first one. So it took a war for me to really understand people. And I picked up that book How to Win Friends and Influence People afterwards and I started implementing those principles and god, I wish I’d had that book at West Point. Chris: Yeah, yeah, that’s some good stuff. Sarah: Yeah, it should be required reading really. I mean, if you can’t relate to people, you can’t be a leader. I don’t know where else to go with that. I mean, we got up to Baghdad and we just kind of sat there for a bit because we’ve won the war, that’s what we were told. And there was what I would like to call the honeymoon period from about like May or April to July. There was this lull. I would read the situation reports everyday and it would say all the different events that had had happened and right before we went home, you could see that stuff was starting to pick up and the whole ID concept was starting to come into play. Yeah, it was just so weird that everybody was like “We’re going for the weapons” and I remember halfway through the invasion being like “Man, I hope we find those weapons of mass destruction because otherwise, what are we doing here?” Of course we never found them and then it just kind of escalated. Back in ’06, I was back in Iraq because things just didn’t end. I mean, one of the main reasons I got out of the military was I just didn’t want that endless cycle of deployments. After the second one, I was like “I’m done with this” but ironically I still did another one bacl to Afghanistan. The people in the military really had to shoulder repeated deployments. It’s kind of an unusual war in that one percent of these people have had to just carry the nation through the war without any, I want to say support but without a draft and a lot of people coming into the military, you get the same people doing it over and over again. Chris: Right, yeah, just a select number of really dedicated people or they want to do it and they’ll kind of do it to a fault. I kind of got that from the movie Sniper or what it’s called American Sniper. Some people think it’s controversial, whatever, but the point that I got from it or one of the points was just how dedicated Kyle was to what he was doing and I imagine that that’s kind of what you are talking about, a lot of the people are just dedicated to do it and gosh, that’s hard. Sarah: Well, there’s also this other phenomenon that I’ve recognized to myself that you know, you enter the military not just to do training over and over again, you go to do a mission. And I notice that in myself even though I got out because I didn’t want to keep doing deployments. After three years, four years when you’ve settled down a bit, you’re like, there’s this weird thing where you’re like “Man, I’d kind of like to go on a deployment again.” Like they’re kind of exciting and you’re doing something that’s bigger than you. And I think the movie Hurt Locker kind of made that point. That’s what I got out of that movie, was how he wanted to keep going back and that was a little extreme but I kind of understood that desire in him to want to go back and do that mission, and maybe the American Sniper is the same way, like that’s kind of what, it stimulates him in a way that nothing else really can. Chris: So what was, and briefly, we don’t want to spend too much more time on this war stuff, but what was the difference flying in Afghanistan? I mean, first of all, you’re talking about much different terrain, but what was your action like there? Sarah: Well, I was flying airplanes so I was doing an electronic attack mission. So we had this pod underneath the King Air. And the King Airs are really the workhorses over there now. They become a surveillance. I kind of joked because I was logging combat time but I mean, I made through more People magazines than I care to tell anybody about and I think I reread the entire series of Game of Thrones. I mean, just there was a lot of time doing left hand circles for five hours so it’s a different experience, especially being fixed wing where I feel a lot safer fixed wing flying in combat. It’s completely different. I felt bad for the helicopter guy. Chris: And you guys were at a higher altitude right? I mean, you’re just kind of loitering. Sarah: Yeah. So that one was pretty chill, yeah. Chris: So what was the transition like from helicopter to fixed wing then because at some point there, they sent you to do that right? Sarah: They did, yeah. In 2011, I got the fixed wing transition because Oregon has one airplane. We fly a lot of VIP missions and some transport missions. I mean, it’s hard learning anything. Anything new like that, it’s really hard. You got to be nice to yourself when you’re going through aviation training for the first time. I mean, it’s hard. Just doing the Q-400 transition here a couple months ago, it’s really humbling to fail over and over and over again, and that’s what the fixed wing training was like. But you get better over time but it’s just different. Airplanes are different, faster. 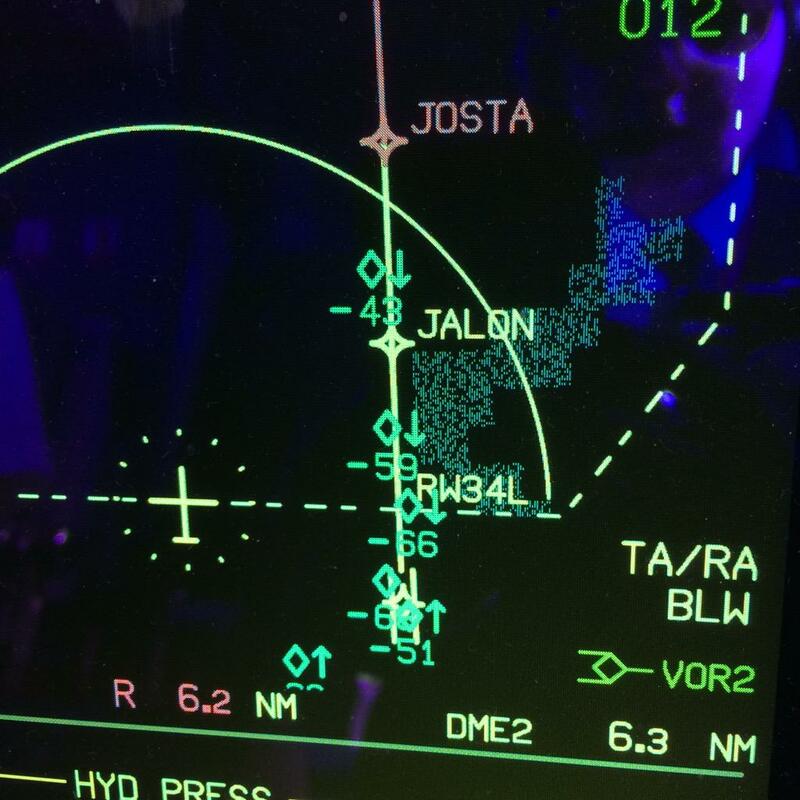 On short final, when you hit bumps and stuff, it’s different. Makes me feel uncomfortable but yeah. Chris: Well, I’m sure you’re doing just fine, probably a lot better than most people. We’re all our own worst critic anyway. Sarah: Yeah, it’s true. Very much so. Chris: Okay, so now you have a transition, another transition. From military life to civilian flying. So tell us about that or I guess you’re going into the national guard too, right? Is that who you’re flying for? Sarah: Yeah. I fly for the national guard and for Horizon Airlines. I started in March of this year for Horizon. Civilian flying is interesting. I’m just so fascinated that the least experienced pilots are the instructor pilots. Like in the military, that’s something like you’re not an instructor pilot until you’re like 700 or 800 hours down the road and you’ve had like 3, 400 hours in the aircraft. And civilian flying is very money-driven, so everything is, timelines are compressed. I mean, these regional airlines, it’s quite amazing. They’re such a well-oiled machine but it makes for some, it’s taken a while to get used to because as a first officer, there is so many things you have to do so you land and then 30 to 45 minutes later, you’re taking off again. And there’s all these duties you have to do and it’s definitely taking a lot to get used to. Chris: No one said it was easy. Sarah: No. It’s not. I mean, I wasn’t one of those people that was always like “I want to be an airline pilot.” I just kind of wanted to see if I liked that lifestyle of being away and flying these big aircrafts, and it’s definitely different. It’s different. Chris: It’s kind of the logical next step. I mean, I guess you could stay in the military forever but there are fewer and fewer kind of doing that sort of thing. So that makes sense. Sarah: Yeah. So, I mean, it’s hard to start a new job so I’m kind of going through that transition period now of being away from home for three to four days and I just now was able to control my schedule. I actually am able to hold the line which I didn’t know what that was six months ago. Yeah, I’ll be able to drop trips and add trips and kind of manipulate my schedule a little bit better. Chris: So you survived training in an airline and now you’re kind of flying the lines sort of thing. Sarah: Yeah, I am. So I finished up, I was actually quite impressed with the airline training, actually the simulator training, because they are out there to make money. They can’t give you, like the army will just give you simulator time after simulator time but in the airlines, they compress everything. They have it down to like the minimum number of simulator periods you need. So it was quite a challenge. I was impressed. I was really challenged and I’ve gone through some pretty difficult military training and I was very glad to be done with that simulator and have that ATP in hand. It’s intense. Chris: Especially that initial airline training. You even hear guys talking about how intense recurrent training is, but that initial airline training is really intense. They put you through the winger. Sarah: Yeah. I mean, if you’re not used to studying, because I was used to the whole, in army aviation you’ve got to study. You’ve got to make sure that you know all the emergency procedures and limitations and stuff so I was used to that in ground school, getting up to that level. But I could imagine, some of the guys are not used to, and are at my class, weren’t used to kind of that level and high expectation and they struggled a little bit until they kind of realized how much they really needed to buckle down and treat it seriously. But yeah, I was impressed. Chris: Yeah, I can’t imagine what the guys had to go through that weren’t prepared whereas you had kind of that strict military background where, let’s just say it, you’re more disciplined, and you could do those things better. Just kind of an ace in the hole or whatever but yeah, I can imagine that worked out really well. So, tell us, I mean, since that’s so new, you’re not going to have war stories of flying for Horizon or flying at the regionals yet but tell us what else you got going on because the way I found you is you have some stuff you’re working on it. You have a twitter channel which you share some pretty good stuff here and there. It just seems like you’re active on there. Your callsign if you want to call it that is Think Aviation. So tell us a little bit more about what you’re doing with Think Aviation and the sort of things you’re working on. Sarah: Yeah, so I created this website ThinkAviation.net kind of to help pilots get better one day at a time. I mean, I’m kind of obsessed with this idea and if you’ve ever read that book The Slight Edge by Jeff Olson that these little things that you do everyday kind of impact and have an enormous impact down the road on how well you perform and your success level. So I wanted to apply that concept to aviation and really help people understand that there are little tiny things you can do like studying five minutes a day that will help you become a better pilot in a long run. Yeah, so I’m going to start this blog in the end of July and really just focus on giving people really actionable realistic tips that aren’t full of technical jargon and just I want to see people have a smooth transition and training time in aviation because it’s hard, it’s humbling and everybody has struggled, and I really want to help people kind of ease that struggle and help them in any way that I can, so I’ll be doing that through a blog and then I’m also working on an instrument pilot survival guide, the instruments. Because I kind of came to instruments a little bit later, a thousand hours of helicopter flying and I was flying a helicopter that’s not instrument-rated. So jumping back into the aircraft, I really struggled, I’d already had an instrument rating long before that but I didn’t get to practice that much in the national air space system. Yeah, I just captured all the mistakes that I made when they were happening to me. I’d take notes after each flight and I’m capturing that in a book and in August, I will be publishing that on the website and Kindle and I’m really hoping that that helps people kind of walk through an actual instrument flight and not kind of what you get from your instructor pilots but what real airline pilots see everyday, what to expect. Because it’s not rocket science. If you know what’s coming, you’ll be fine. Chris: I really like that concept because I think that is actually the core of what everyone struggles with in instrument flying. We all get kind of hung up on the instrument approach and this approach and that approach and charts and holding, it’s like what holding entry do I do? That’s fine to learn that stuff and it’s important, sure, that’s part of the knowledge you’ve got to learn, sure, but if you really understand from a practical perspective how the IFR system works, what you can and can’t do, the fact that you can actually work with controllers to help you out, you can work with them sort of thing, then gosh, it’s a walk in the park. And it becomes a lot better when you understand that it’s a partnership and it eventually becomes a situation if you approach it correctly where you actually feel more comfortable doing IFR, at least I do or at least faking like I’m doing IFR you know. If I’m doing VFR, then I’m going to want to be on flight followjng and flight following is a little bit like being under IFR. They don’t tell you what to do but yeah, so I like that concept. I think that’s a really great idea. Sarah: Yeah, yeah. It didn’t really start to click for me until I understood that they were going to give me the same radio call at the same point every single time and now I can predict exactly what they’re going to say. And until you get that concept, it’s going to be painful. I want to ease people’s pain and make them enjoy aviation. It can be hard. Chris: And the instrument ticket is still one of the hardest tickets to get because there is a lot of knowledge that’s new and you kind of have to pile it on and then you’re dealing with some new physiological factors like spatial disorientation which affects some but not all. But at the end of the day, just bringing that all together and having the big picture. And for people to understand that hey, this isn’t just a ticket. 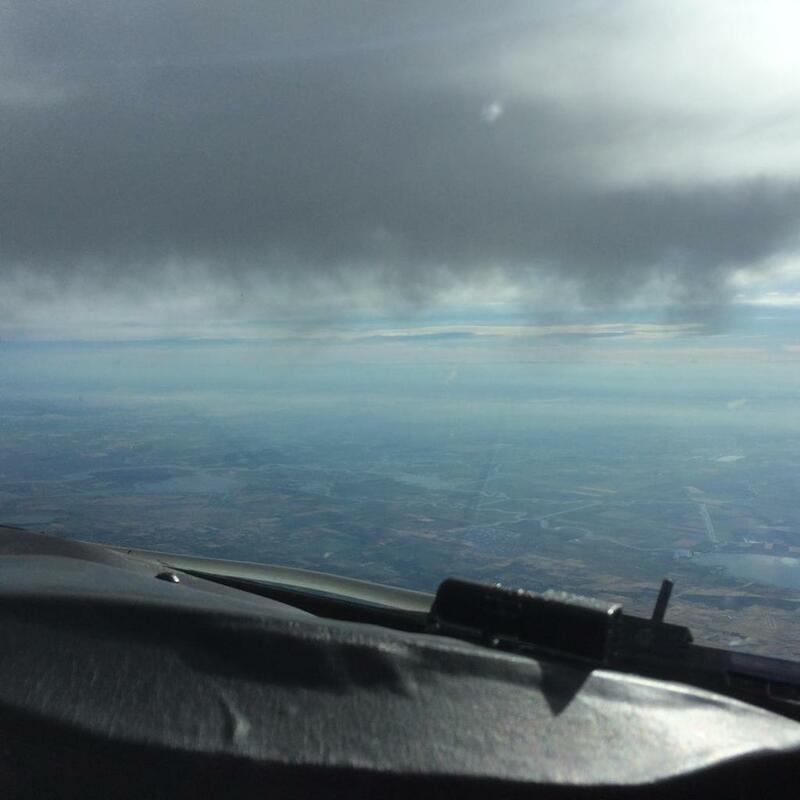 Don’t just focus on getting your ticket but focus on working within the IFR system, becoming competent, becoming confident and then it will all just unfold from there. It will be fun. Sarah: Yeah. It opens up a lot of doors. 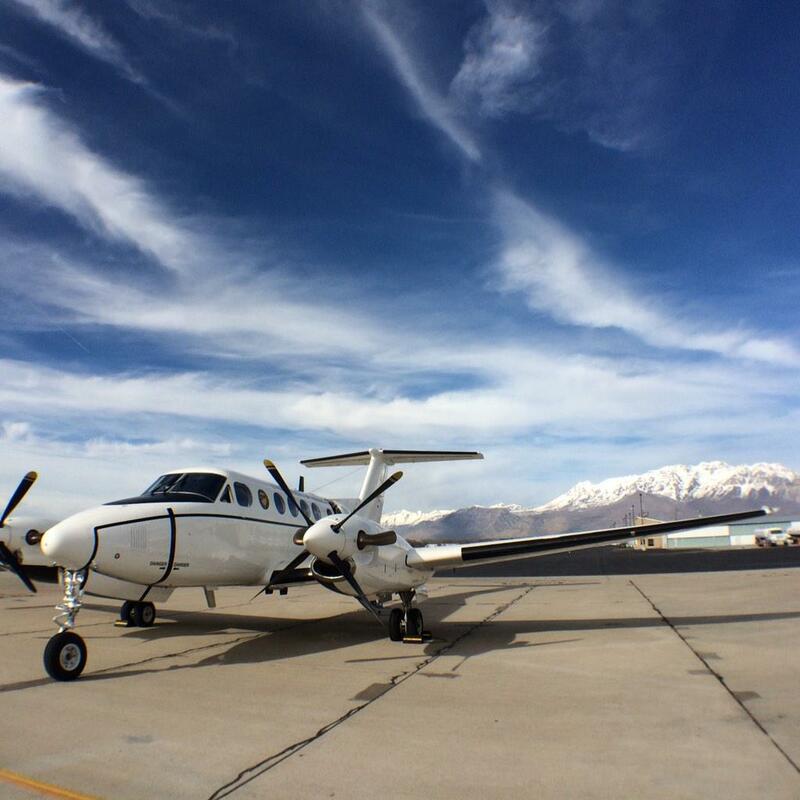 Chris: I remember when I used to fly in Salt Lake, I would almost always be flying from south to north coming into the airspace from that direction and they would always ask me my intensions, like what I wanted to do, and I had the perfect solution. After a couple flight, I knew exactly what they wanted. I’m like “I’m going to counsel IFR by this point but I want to duct under the airspace here” and they’re like “Yeah, let’s do that.” Everytime it was cool. Those are the kind of little things you got to figure out and get in the controller’s head too. Sarah: Yup. They have a lot of challenges. Chris: Yeah they do. So, that will be great to see your book and read that. I’m glad you’re doing it on Kindle because I’m kind of a paperless book guy these days. What else do you got going on? What things get you excited in aviation these days other than your new transition to Horizon in the airlines? Sarah: Well, I actually potentially have a chance to go back to helicopters next year so that’s got me pretty excited. We’ll see if it actually happens. Chris: So that would be going back to helicopters in the national guard? Sarah: Yeah. I really enjoy the scout mission. 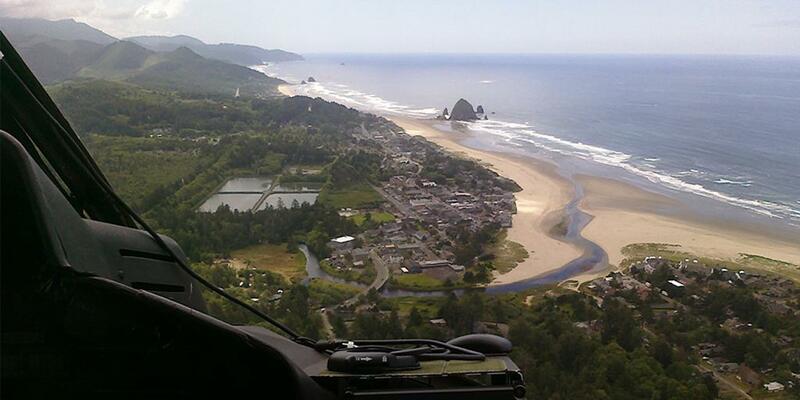 We do a lot of search and rescue in Oregon and that is just such a fulfilling mission to do. Yeah, that’s got me excited. Chris: Cool. I’ve got to get into that helicopter world a little bit. I mean, I’ve just always held back for some reason you know. I think the really good aviators out there, they continually test themselves and continue to do new things. Sarah: Yeah. You’ve got to fight complacency and yeah. I just hope when I’m 60 years old and still flying that I’m pushing myself. Chris: Yup. Good position to be in. Cool. You know, I make it down to the Pacific Northwest every now and again. Maybe you can give me my first ever helicopter ride or something. Chris: Oh I know you couldn’t do that. I know we’ve had to go and rent one somewhere or whatever. Sarah: Yeah. Yeah. Although I’ve never flown a little R-44. I’ve got to get checked out in that cool thing. I bet that thing is fun to fly, everything is right there. So yeah, definitely give it a try. It’s fun. Chris: Right on. Let’s wrap up the show. The last thing I want to get from you is just your final words of inspiration for aviators out there that are on the fence about this thing, that are maybe disenfranchised in their current job with aviation and just feel like they’ve lost the passion. Maybe people that are looking to get back into it that were once aviators, what’s your advice for them? Sarah: For people that want to get back in. I mean, you just got to jump back in and do it and know that it’s going to be a little bit difficult at first but if you just implement small little habits of studying just a little bit everyday, you’ll be able to make it through and reach your goals. I mean, it’s hard to make to the hour or level that you need to get hired but it’s a big goal, you got to break it down into small little chunks and just take it one day at a time. Chris: What would you say to the young aviators that are looking to get into it? Rewinding to your days of learning from a World War II pilot at Oshkosh. Sarah: Yeah. Well, you know, there are programs like civil air patrol you can get into. Definitely I think people should look at the military. Just keep in mind, I don’t know, if I could do it all over again, I’d probably go coast guard because I love that mission of search and rescue. But the military, it’s hard and it’s challenging and it’s worth it. You might not get enough hours so when you get out, you might have to like pursue being an instructor pilot or something to get enough hours to actually make it to a full time job but definitely don’t discount the military. I mean if you’re at least a little bit athletic and play sports, you can just put in six years and it will really set you up mentally and physically to have a really good career elsewhere down the line. It will give you really good perspective on aviation and different ways of operating. Because you know, when I fly in the military, I’m not just flying, I have a mission. But in the airlines, I mean, yes, the mission is to fly people but it’s kind of the same every time. So in the military, you get to do some things that you’re never going to be able to do in the civilian world. So take a look at the military. Deployments are kind of spooling down so I wouldn’t be as worried about that. Chris: You’ll never know. The world it seems in turmoil all the time. There is always something new popping up. But that’s the risk you take and I guess it’s risk versus reward and everyone has to weigh that for themselves. Chris: Cool, well thanks for joining us on this show. We really appreciate it. 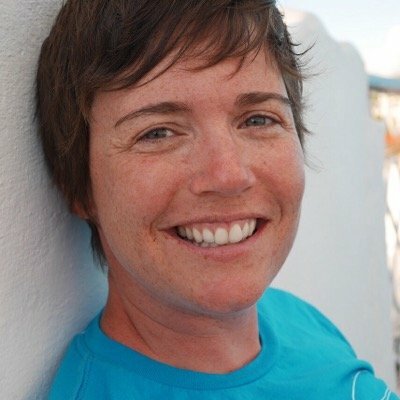 We’re looking forward to what happens with Think Aviation and if any of you want to reach out to Sarah on twitter, it’s a really good place to do it, just find her @ThinkAviation. She’s super cool. I reached out to her there and this is how we ended up getting together for this podcast. So Sarah, thanks so much for taking time out of your busy schedule. I know that you’re actually going through training this week, right? You’re out in Alabama going through training. And you’re sitting out in the warm weather too so we can get a better signal for this podcast so I really appreciate it. Sarah: Yeah, I appreciate it. Thank you. Chris: No problem. Alright, we’ll talk soon. Thanks Sarah. Sarah: Okay, take care, thanks. Chris: Alright, a huge thanks goes out to Sarah for joining us on this episode of AviatorCast. Sarah, thank you so much for your service to our country, for all the sacrifices that you’ve made, for the hard work that you’ve put in to defend our freedoms and to do your duty. It is much appreciated and on behalf of the other Americans listening to this podcast, I just want to say that I really, really appreciate that, and appreciate again all your sacrifices, your duty, and all you’ve done for us. If you guys want to check out what Sarah has to offer, you can check her out at @ThinkAviation on twitter. Also, ThinkAviation.net is a great place where she is starting a blog and a podcast and a bunch of other stuff. It’s really cool to see other people try to get the word out there in the community and I like the pitch that Sarah is going. Just that little anecdotal information every single day to give you some cool stuff to chew on and think about aviation, constantly be thinking about aviation. So I think that’s super great and again Sarah, thanks and congratulations on getting to a regional job. That’s no small thing and I hope that you continue to advance in your career and enjoy all that you have to do in aviation. A big thanks goes out to the Angle of Attack crew for all that they do to make this episode of AviatorCast possible. Now, the Angle of Attack crew works behind the scenes on online learning and flight training production. So Angle of Attack is a flight training production company. We specialize in video and do a whole lot of work there so they are behind the scenes kind of running things so you and I each and every week can do this podcast thing which is kind of just the fun thing to stay connected to aviation passion. I think it’s super important and so these guys rock. And thank you, the listener, for joining us each and every week. You guys are absolutely awesome. I really appreciate all you do to share AviatorCast, to contribute to the aviation community. It’s no small thing to go through an aviation career, and to share that with other people, to be a mentor. I just find each and every day that there are so many good people in aviation and I know that you as a listener of this show, you are likely one of those great and amazing people. So I honor you, I thank you for being here and we really appreciate your contributions, and just having you here each week is a joy. So join us on the next episode. Again, this is the big hat trick weekend. We have three episodes of AviatorCast this weekend. Our next episode, we are going to be talking to another military member. This time we are going to be talking to a subhunter pilot from the navy. So join us on that podcast, that will be on the next episode, and until then, throttle on!